Did you know there are 28.8 million small businesses in the U.S.?1 With so much competition ––small and large — how do you stand out? There are some ways you may never be able to compete with your competitors, whether it be the physical location of your business, the amount of volume your store can handle or the amount of investors you have as a financial resource. It can be a major challenge to stand out if you don’t have a lot of resources to test and expand. However, finding a niche to make your business stand out doesn’t have to come at a large cost. We’ve come up with a few easy and affordable ways to carve out a space for you in your small business market. niche (n.) /niCH,nēSH/ — denoting or relating to products, services or interests that appeal to a small, specialized section of the population. Before you start whittling things down to uncover your niche, start at the foundation to ensure your idea is rooted in your core business. 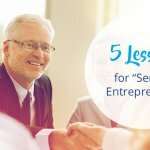 Ask yourself what service you provide in the simplest terms (3 – 6 words) and write it down. A mind map, or a graphical representation of ideas, is a great way to brainstorm your way from one big idea into small areas. Start by writing down the basic overall brand description that you settled on in step one. Then, create a second degree of ways your business supports that idea. You can make a third degree by writing down daily tasks that contribute to the second degree ideas. You can continue to build out this map (which may even turn out to look more like a web of ideas) to help get an idea of what are the smaller parts of your business that make a big impact. Those small ideas can then be the center of your niche inspiration. You always want to find something that is already part of your core business rather than reassigning something new — it is more likely going to come off as disingenuous and won’t connect with the foundation of your brand. At this stage, you’ll be narrowing down to your niche. What that niche actually is for your business is going to be challenging to define as every small business is different. Here are some things you should consider while thinking about what your niche looks like for your small business. Is it your product or service? Is it your price point (budget, average, luxury)? Is it your customer service policy? Is it the area where your business can service? Is it a certain kind of customer (targeting specific age groups or interests)? Is it the way your customer receives your product (subscription service, bonuses for frequent buyers, etc.)? Once you’ve explored all the different aspects of your business, it’s time to cross check your top three ideas with what is already out there. Let’s say your niche is your connection within the community — your ingredients are locally sourced and you sell your products in local stores. Participating in a local farmers market may be the best place to build up your brand and get your product to a whole new group of people. Check to see where they’re available and what vendors already participate, specifically those who are similar to your small business. Finding your niche is only half the battle. Do the research to see if others out there are trying to capitalize on the same niche and consider focusing on another aspect of your business or strategize a way to work that niche better. Once you’ve settled on your niche, it’s time to test it out. 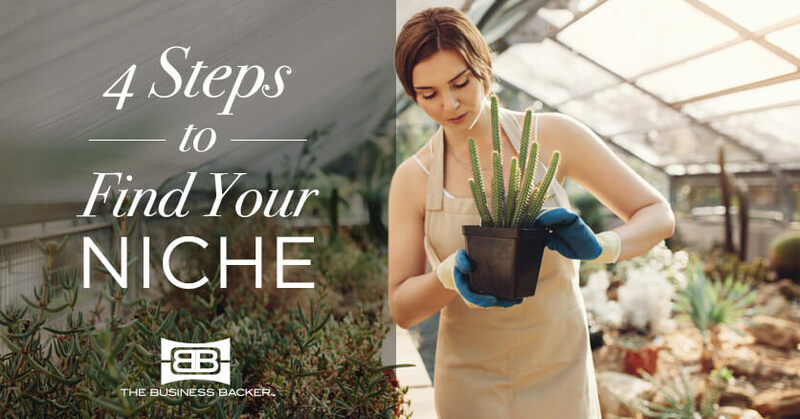 Since your niche could come in many forms (like the questions in step two demonstrate), there is no one-size-fits-all for the way to market your niche. Whether your niche is best communicated via social media or more traditional methods, set a timeline for testing. Take note of your sales currently for a benchmark, then give yourself 90 days to market your niche. Within those 90 days, record your sales every 30 days. See how the numbers compare month to month and year to year to gauge how your strategy is resonating with your customers. You may also want to look at web traffic or other measures that don’t directly result in sales, but demonstrates increased interest in your business. 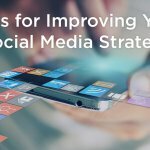 If you aren’t seeing your numbers increase, consider both your marketing strategy as well as the niche you chose. Take time to reflect how you may be missing the mark and adjust as necessary.